When planning my 4th long distance bicycle tour down the Mississippi River, I really wanted to find someone to come with me. I had been fortunate enough to have riding partners on my first bicycle tour down the California coastline, but I had been forced to travel alone on the subsequent two tours. That’s why, when I began planning my 4th long distance bicycle tour, I made an extra effort to find a riding partner. It was 2004 at the time and I was in college. I had a few friends that were interested in joining me on my bike ride, but each of them seemed to have an excuse for as to why they could not join me out on the road. One of the people I was pursuing as a potential riding partner was my good friend, Ryan Nakashima. Ryan had joined me for the final leg of my bicycle tour down the California coastline in 2001 and he had had a great time, but I had been unable to get him to join me on any of my subsequent tours. When I approached Ryan about joining me for my ride down the Mississippi River, he said he’d love to come, but felt that he would be unable to make it happen because his parent wanted him to take summer school classes and get a job. I understood where he was coming from, because my parents wanted me to do the same thing, but I wasn’t going to give up on him that easily. The intent of this letter is to persuade you that Ryan should accompany me on part of the bicycle tour I have planned for this upcoming summer. Below are the main reasons that I want Ryan to accompany me on this once in a lifetime adventure. First of all, I would like some company out there. It can be lonely sometimes and the miles sure go by quicker when you have someone to talk to. I don’t mind traveling alone, but having someone to talk to, to help you out when you are in need, or to push you up that next big hill is always a nice luxury. Secondly, I want Ryan to come on this trip with me because I want him to experience some of the things that I have been experiencing for the last three years. I was incredibly happy that Ryan could accompany me for that short distance on my first tour down the California coastline, but I think he got cheated out of the real bicycle touring experience. He was riding the streets of Los Angeles for goodness sakes! First of all, he has seen those streets a million times and the scenery in Southern California is almost non-existent. Secondly, the traffic in So-Cal is just horrendous. He biked in some of the worst conditions I have ever seen on my travels. I biked through some major cities on my last tour up the east coast and nothing was even close to some of the things Ryan and I biked through on that first trip through Southern California. If he can make it through the streets of LA, he can definitely make it down some lonely Mississippi farm roads. I want Ryan to experience just a small piece of what I have been experiencing these last three years and I feel that the trip I have planned for this summer is a perfect opportunity for Ryan to get out there and experience an entirely new slice of America. I have included some information about my planned bicycle adventure with this letter. I have included the itinerary, a summary map, a scan of the maps that we will be using to guide our way through the states, an article from Adventure Cycling magazine about why you shouldn’t worry about us making this tour, and also a highlight page of my own which documents just some of the adventures that I have been on in the last three years. I hope that this information will be of some assistance to you. My hope is that this info will make you at least think about possibly sending your son out there to ride with me for a couple days. 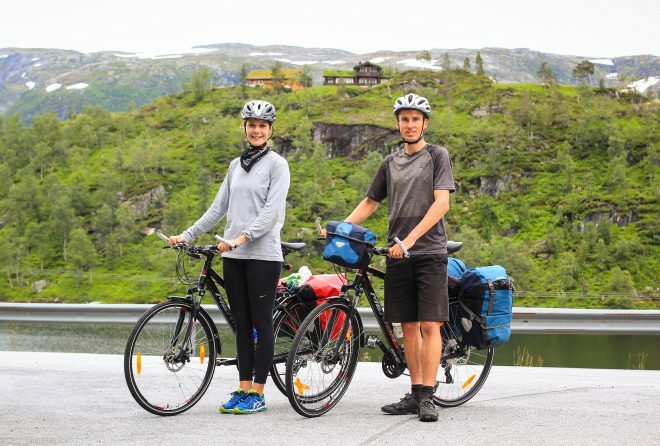 I feel that each and every one of the bicycle trips I have ventured on has been life-changing experiences and I would hate to see Ryan miss out on such an opportunity. Please think it over. If you have any questions or concerns, send me an e-mail or give me a call. That’s what I want to be saying! In fact, that’s what I will be saying! I hope that Ryan has the chance to say that as well. Despite my best efforts, Ryan was unable to join me on my tour down the Mississippi River. He went to summer school and got a job working for minimum wage. I’m sure that if I asked him today what he did in the summer of 2004 that he would be unable to tell me. 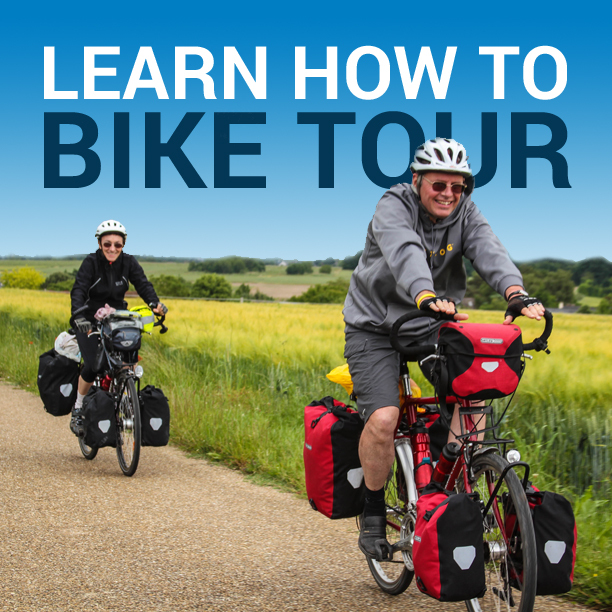 The reason I share this letter with you is because I want you to see just how difficult it can be to find a riding partner for your bicycle tour. You’ll talk to a lot of people who are interested in joining you, but when it comes right down to it, most people are unable or unwilling to make the leap. But you can’t let this stop you! Do what you can to find a riding partner for your tour, but if you are unsuccessful, don’t cancel the ride. Instead, go it alone! You won’t have someone to talk to each day, but the experience you will have once it is all over will be more than worth it. What kind of experiences have you had in trying to find a riding partner for your bicycle tour(s)? If you were able to find someone to join you, how exactly did that work? If you were unsuccessful in finding a riding partner, did you go it alone? Or cancel the tour? This entry was posted in Bicycle Touring Pro Articles, Featured How-To Articles, Main Articles, Planning and tagged adventure cycling, bicycle touring advice, bicycle touring partner, California coasline, cycling partner, Great Rivers, how to find a bicycle touring partner, how to find a cycling partner, join me on my bicycle tour, Pacific Coast. My Great Divide Mountain Bike Route (GDMBR) trip got shortened this summer due to snow and mud in northern New Mexico and on the passes in Colorado. I’m still plotting and planning to get back out there for at least another 2 – 3 weeks as things dry out. So far this year I rode the GDMBR northbound (nobo) a little over 700 miles from the New Mexico-Mexico border at Antelope Wells to Horca, Colorado. I detail my adventures in my blog at: http://www.bikerbobonthegdmbr.com. For this trip my wife insisted that I ride with a group. I advertised in the Campanions Wanted section of the Adventure Cycling web site. I received a lot of contacts and ended up riding with several others from around the country. Finding compatable riding partners definitely enhances the trip. Especially when riding on seldom traveled Forest Service and BLM roads; they can provide an extra measure of safety too. At the same time it is nice to travel alone. We stuck together as a group until Grants, New Mexico but north of Grants I chose to drop back to have more opportunities to photograph and to worry less about daily mileage. There were also days when I did not have climbing legs. The GDMBR has about 200,000 vertical feet of climbing over the 2700 miles! The route northbound from Cuba, New Mexico got up in elevation to over 9000 feet and I found that I needed a leg and lung transplant to continue that day. So I stopped. The others went on and I did not see them again for 2 1/2 days. From my experience I would say that traveling with others works best when you already know each other and have a stake in each others’ well being. However, from other cycling tours I have found that it often works out well when you meet along the way and discover that you have a similar pace and riding goals. I would not fret too much about finding riding companions for a tour. If safety is a concern, then buy a SPOT satellite gps transponder (www.findmespot.com). Since I bought my SPOT my wife is much more comfortable with my solo adventures. With a SPOT you can be electronically Tracked, send out OK or Help messages to select people, or send a 911 satellite message in a real emergency. It then becomes a rescue mission, because they do not have to waste precious time searching for you. If you are able you can keep moving, and they can see that too. If you have a clear view of the sky then the SPOT will send your gps coordinates (to within 10 feet) to whoever you want or need to have that information. Or, if you just want an electronic cookie crumb record of your trip to look at later on Google Earth, then you’ve got it. Riding companions? When it works, it is fantastic. When it doesn’t, then don’t force it. Enjoy the ride anyway. I have toured a lot and I go solo. Im 67 so its hard to find riders my age and speed , an older slower rider cant keep up with a young rider how wants to do a 4 week tour in 7 days , it doesnt work. i have only been on one biking tour so far and my original plan was to go it alone. i was hush hush about it for along time planning and the only clue was that i started riding to get conditioned. but i ended up telling my best friend Nathan who took to the idea immediately and started riding too. he joined me for our first tour from Portland to San Fransisco soon after graduating high school. now he continues to be my riding partner, and we are planning a tour of Europe. I want to do an independent bike tour to somewhere. I am a 47 yo black female in very good shape. I have done one 400 mile, 8 day tour, and 0ne 150 mile 2 day tour both with camping. I have a Connondale 08 t1, and all the needed equipment. I just can’t seem to find anyone will to accompany me. I’m told this is an unusal thing for a black woman. I love this stuff, and I want to go! If it comes to to it, I guess I will have to brave it alone, but how boring it will be. Any takers?????? I am in training for the ALC and I have been doing some pretty decent rides, my furthest as of yet 120mi , I have been putting it out there to find someone to ride with me and have had a few people let me know they were interested but only one person that has actually joined me. The only problem is he made me realize I am an experienced rider and he was a begginer. I was glad to have him with me but it really slowed my pace. I pace at about 17-20mi on flat and have some trouble on hill climbs because of my equipment, I acutally ride a 21speed Marin Comuter bike but i don’t let that stop me. of course I plan on upgrading but for training purposes this bike is serving me well. I am in the LA area and frequently ride 50-100mi just about every weekend. If anyone is interested in venturing out here in LA and seeing some beauty in the City of Angels I would advise that you contact me and we can set that Up, I went on an awsome run from Sherman Oaks over to Malibu and down the coast to Palos Verdes and back to Sherman Oaks that I would love to take someone on, but I will not cancel any of my rides because no one wants to join unless I was in some extreme climate where you need someone there in case of emergency other then that I am a ridah! yes-im in for an independent bike tour somewhere. I am a teacher, with plenty of vacations. Im an avid NYC biker, and have experience cycling around the world. Im 33 SWF, and in very good shape. I have an upcoming vacation, and am looking to do a short trek over about a 7-9 day period. My vacation begins March 27 and ends April 5. I have equipment too, I just need a travel mate Hope this finds you Lynnteer! I had spent several years trying to get my friends together to hike the Pacific Crest Trail, but it seemed that something was always missing. My first bike tour I went solo because I was experiencing an inner transformation, and was contented with or without any ideal conditions (I rode a single speed from LA to Eugene, with a hiking backpack, best part was riding with no hands). Essentially all of my following trips (with an actual touring bike) had been commuting from farm to farm to work. I met several tourists along the way, but could never manage to keep up, I then realized from observing their bikes that my frame was severely too short, and my seat MUCH too low; at the bottom of my pedal strokes my knees were still bent quite a bit. Once I finally solved the problem, my riding improved exponentially. The only way to ward off the loneliness blues was to essentially ‘lurk’ around when stopped and smile at people hoping for an open hearted person to pick my brain, or I would simply extend my happiness outwards and that usually helped cure the lack of intimate relation ‘out there’. There is undoubtedly an exquisite bliss that can be had alone with nature, and I feel like I enjoy a companion more now that I have experienced it solo. I know that having another person with you when you are first learning something can be trying, and lead to a growing frustration if you are not altogether ‘with it’. but once you have proven yourself, to yourself, having company is an absolute joy! I have heard many people who give up the tour half way through their ‘first time’ and I believe it has to do with conflicting expectations. As they say in the thru-hiking community “hike your own hike”, and the meaning of that has it’s tried and true significance. I like how Josh Foreman was hoping to go solo, and ended up attracting his buddy along, just through the sheer brilliance of his resolution. After all it was never about anyone else, it was always about finding yourself, who happens to BE everyONEelse all along. That reminds me of a John Muir quote, “In going out alone in nature, I found that I was really going in.” Being with another is a great way to share your burdens and joys, but when you can find your own joy alone, you don’t have any burden to share when you find a companion, only joy! Wow! I have forgotten all about this until receiving this message today. Well, here’s a little update…….I am not 52, and still in great shape. I have since take 2 solo tours after deciding that I am going to do everything that I desire and not be held back by fear. My first solo was a 200 mile, 4 day round trip with camping. My second solo tour consisted on the next to the leg portion of the ‘Underground Railroad” from Milford, OH to Erie, PA. Although I did not make it all the way to Erie because the weather turned really bad (rain, hail and sleet) which cause me to turn back south, and this was spring time. I posted my first journal about this trip on the cycle touring website “crazyguyonabike.com”. The title of my journal is “Oh Darn, Those Ohio Hill!” Please take a look. The tour was fun, but somewhat difficult. The hills were unbelievably ridiculous. Still trying to find cyclists interested in going down Euro Velo 6 from Vienna to Constanta this summer. I cycled about 2000 miles from north Devon to Vienna last summer and joined others who shared the same route, but would welcome a like minded soul(s) for the remainder of the trip. I usually cover about 50/60 miles a day depending on the terrain, weather and distractions along the way. If you are interested drop me an email.